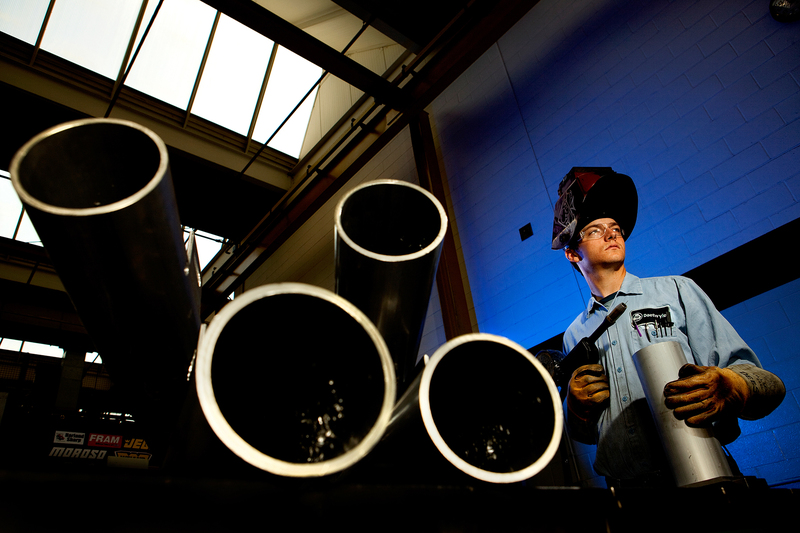 Blue gelled lighting makes a dynamic backdrop for a welder in a plant that manufactures equipment and products for the printing industry. The angle from which the photo was taken illustrates plant operations, is graphically interesting and reinforces the confidence and pride the employee shows about the work he does. The photo is taken from a low angle in order to reinforce the effect of the repeating pattern of the cut pipes.